The Mount Pleasant High School Fishing Teams were all back on the water on Saturday, March 2, at Lake O’ the Pines. Overall, MPHS placed 2nd out of 15 schools in the tournament. Contributing to the 2nd place team finish included Tyler Welborn & Zane Phillips with a 5th place finish, Tyler Miklos & Zeth Whittington placing 14th, Ethan Cota & Bryce Bartlett finishing 20th, Blake Denson & Rance White placing 31st, and Jordan Boyd and Hunter Mayfield coming in 35th out of 98 teams who fished on Saturday. 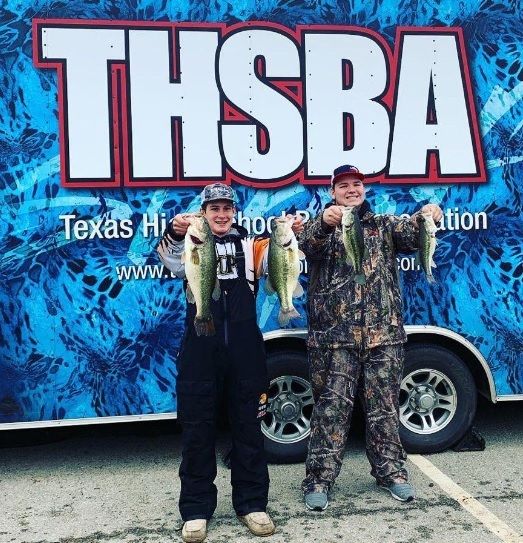 The Lake O’ the Pines tournament marked the end of the regular season, and with their final placements, all five MPHS Fishing teams have advanced to the Regional tournament. Standings have the MPHS team in 4th place overall. Individual standings include Welborn & Phillips in 12th place, Denson & White in 20th, Miklos & Whittington in 26th, Cota & Bartlett at 29th, and Boyd & Mayfield in 49th out of 133 registered teams in the Northeast division. The Regional Tournament will be held at Lake Palestine on April 13. The MPHS teams will all be fishing for the opportunity to make it to the State Tournament.